MacBook Air the 2018 was a long-awaited laptop, but for some it was a disappointment. Future pokupateli expected that it will cost less than $ 1,000, but instead, Apple raised the price $ 200. Thus, the MacBook Air caught up in price with the MacBook Pro, so Apple raised the price of “Proshka” to differentiate the laptops. In Russia, the cheapest 13-inch MacBook Pro costs 5,000 rubles more expensive than the MacBook Air. There are at least three reasons for which you should buy this MacBook Pro and not MacBook Air. When the first MacBook Air, it impressed everyone with its size. 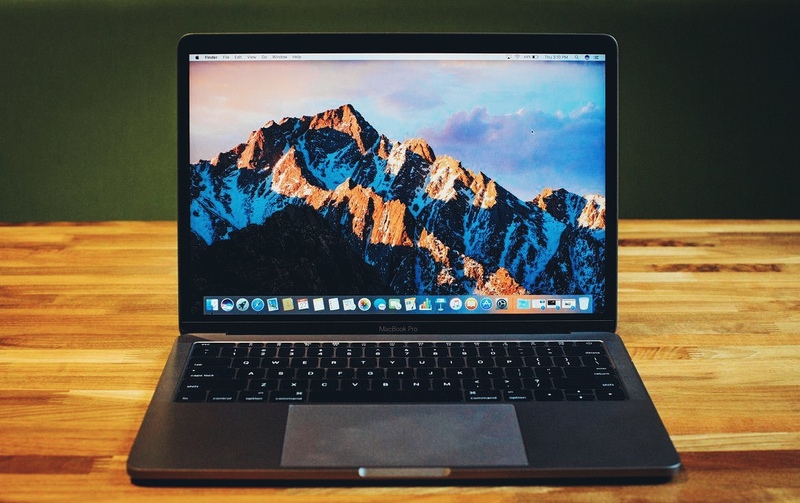 But progress does not stand still, therefore in 2016, Apple released new MacBook Pro models, which have become much thinner and lighter than previous models. MacBook Pro 13-inch width and length coincides with the MacBook Air. This is 0.07 inches thinner, but heavier than 0.12 kg. Difference in weight is negligible and barely noticeable. The main change MacBook Air was Retina screen has the same resolution as the MacBook Pro — 2560 × 1600 pixels. But the color and brightness of the screens differ. Display MacBook Pro displays more colors, because it supports the profile of DCI-P3. It is also brighter — 500 CD/m2 vs 300 CD/m2 for the MacBook Air. MacBook Air equipped with a processor Intel Core i5 the eighth generation. MacBook Pro comes with the same processor, but only the seventh generation. It would seem that the MacBook Air CPU is newer, so it should work faster, but not so simple. The MacBook Air uses Intel chips series Y. These processors consume little power and are designed for very thin laptops. U-chips consume a little more power, but they are more powerful than the Y-chips. This is confirmed by synthetic tests in which MacBook Pro gains more points than the MacBook Air. In simple tasks, for example, surfing the Internet and watching movies, the difference in performance will not be noticeable. But if you want to work with big files or heavy programs, then a MacBook Pro will handle it better than the MacBook Air.